For at least the last ten years, Secretary of State offices throughout the country have been making their business entity and UCC databases available online, with ever-increasing amounts of data and features. In addition to offering searches of these databases, the vast majority of states also offer online filing for many business entity and UCC transactions. Now, a number of Secretary of State Offices are taking this to a new and even more convenient level. 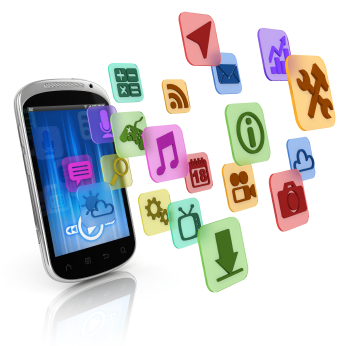 We have all been hearing that there are now over 500,000 available applications (“apps”) for use with smart phones and other mobile devices. So, it is not all that surprising that several states would jump into this arena and develop apps not only for mobile access to their data, but for online filing as well. And at least one state appears to be doing it quite well. At the most recent annual conference of the professional trade association for filing officers at Secretary of State offices and their equivalents in countries around the world, the International Association of Commercial Administrators presented the prestigious 2012 Merit Award for Outstanding Innovation to the Hawaii Department of Commerce and Consumer Affairs, Business Registration Division, for two of its recently created mobile apps. The apps are modified versions of services available on the Hawaii business registration website, including business name searches, business entity information, document ordering and annual report filings. Other states have gone in this direction, as well. The state of Washington has an app that allows customers to do mobile corporation searches similar to the way these searches can be done on its website. Searchers can determine if a company is registered, if it is current and in good standing, who the corporate officers and registered agent are, and can even check the status of charitable registrations. Nevada also has an app that enables users to search the state’s business entity records by various criteria, such as business name, status, type, file date, entity number, business license expiration date, officers’ names and registered agent. Utah has a number of apps for accessing its online data as well, offering similar options and capabilities as these other states. Currently, only a small number of users utilize these states’ mobile apps. Yet, as smart phones and other mobile devices continue to grow in popularity, it seems likely that we will see more states offer mobile apps for business entity information and filing services. How high-tech are you? Are you utilizing these apps yet?